Mr Angelo Xuereb, the chairman of AX Group has been rewarded with the EY’s Malta Entrepreneur of the Year award. This is the second time that this award has been presented in Malta which makes Mr Xuereb, the second Maltese person to be granted this prestigious award. This is proof of Mr Xuereb’s determination and success. Throughout the years, from a very young age, Mr Xuereb always showed an inclination towards the business side of things. He bases this success on four straightforward, but essential words – Creativity, Efficiency, Challenge and Determination. His corporate interests range from tourism, construction, property development, restoration, project management, real estate, healthcare, quarrying and sea terminal operations. Mr Xuereb states that ‘Entrepreneurship is the seed of tomorrow’s growth. Determination is the sweet and sour of success. I want to take this opportunity to thank everyone who was involved in recognising my hard work and all the dedication and perseverance that I, together with my team, have devoted to the business’. 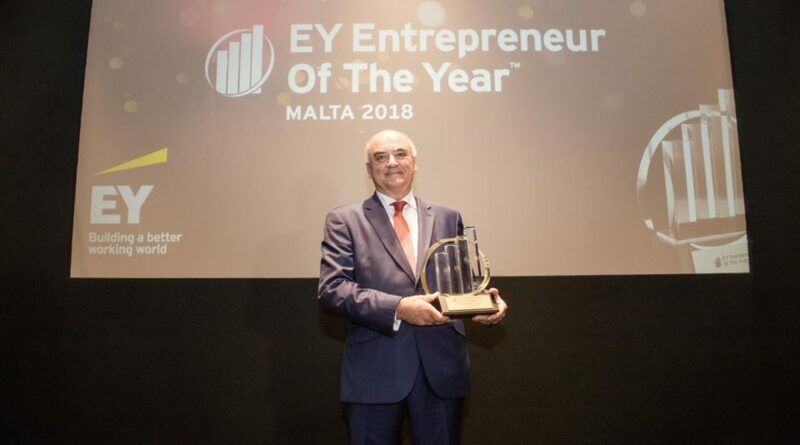 In June, this award will lead Mr Xuereb to Monaco where he will represent Malta to compete in EY’s World Entrepreneur of the Year award together with other business leaders from over 60 countries. These leaders, that were selected from over 5,000 nominees worldwide, will also be competing for the final big award. Previous winners of the award include big companies such as Amazon and LinkedIn. With its first appearance of this award in 1986, EY has managed to create a global network made up of 50,000 entrepreneurs, all connected by their business-mindedness and their will to grow and succeed.